As you know this season at Seattle Opera is heavily focused on Verdi and three of his masterpieces, La traviata, Il trovatore, and Falstaff. Our Seattle University series is dedicated to exploring, in more detail, some of the major issues of his life and work; to further enrich this experience we're hosting our first ever book club on Tuesday, January 19 at 7:00pm. We will be reading Giuseppe di Lampedusa's novel The Leopard. This was Lampedusa's only published book, but it fits in perfectly with our theme of Verdi this season. The story takes place in 1860's Sicily and the struggle of a unified Italy. This is the exact same moment that Verdi's great operas were unifying the people to think about Italy as a unified people, instead of a number of small city-states. This season we continually learn about Verdi and his ideals as a man of the people, Lampedusa's work gives us a sense of what it was like to be on the other side of this argument, what it is like to be of the nobility and feel the status quo slipping away. 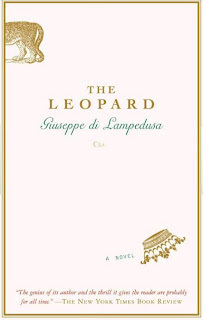 Here is a review from The Economist: ...Lampedusa's deftness with words is so fine that, although nothing much appears to happen in the book ... to many readers The Leopard is the greatest Italian novel this century, perhaps the greatest ever, and uniquely relevant to modern Italy. If you want to join us for our first book club you can pick up your copy of The Leopard at the Seattle Opera gift shop, Amusements, open this holiday season during Nutcracker performances, or you can call them at 206.774.4990. Seneca, thanks for reminding me of "The Leopard". I read this some time ago and did not associate it with Il Trovatore. This will enhance my enjoyment of the opera.